Steichen, Edward, ed. 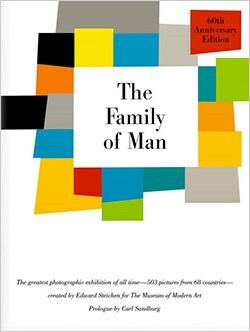 THE FAMILY OF MAN. New York: The Museum of Modern Art, 1955. Gruber, L. Fritz. GROSSE PHOTOGRAPHEN UNSERES JAHRHUNDERTS. Darmstadt: Deutsche Buch-Gemeinschaft, 1964. The Editors of Time-Life Books. THE CAMERA. Life Library of Photography. New York: Time-Life Books, 1970. The Editors of Time-Life Books. COLOR. Life Library of Photography. New York: Time-Life Books, 1970. The Editors of Time-Life Books. THE GREAT THEMES. Life Library of Photography. New York: Time-Life Books, 1970. Ehrlich, Arnold. THE BEAUTIFUL COUNTRY: MAINE TO HAWAII. New York: The Viking Press, 1970. Haas, Ernst. 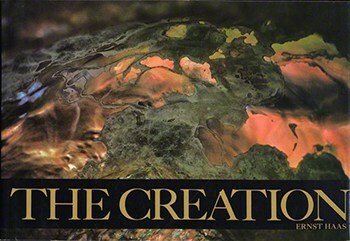 THE CREATION. New York: The Viking Press, 1971. The Editors of Time-Life Books. GREAT PHOTOGRAPHERS. Life Library of Photography. New York: Time-Life Books, 1971. The Editors of Time-Life Books. PHOTOGRAPHING CHILDREN. Life Library of Photography. New York: Time-Life Books, 1971. The Editors of Time-Life Books. THE STUDIO. Life Library of Photography. New York: Time-Life Books, 1971. Capa, Cornell, ed. THE CONCERNED PHOTOGRAPHER 2. New York: Grossman Publishers, 1972. The Editors of Time-Life Books. THE GRAND CANYON. 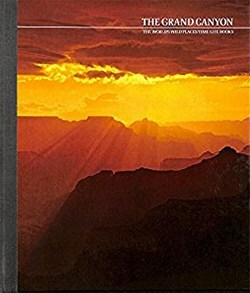 The American Wilderness, edited by Robert Wallace. New York: Time-Life Books, 1972. The Editors of Time-Life Books. FRONTIERS OF PHOTOGRAPHY. Life Library of Photography. New York: Time-Life Books, 1972. The Editors of Time-Life Books. 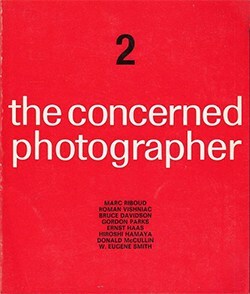 PHOTOGRAPHY YEAR/1973 EDITION. New York: Time-Life Books, 1972. The Editors of Time-Life Books. CACTUS COUNTRY. The American Wilderness, edited by Edward Abbey. New York: Time-Life Books, 1973. 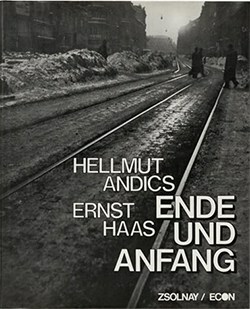 Andics, Hellmut, and Ernst Haas. ENDE UND ANFANG. Wien, Hamburg, and Dusseldorf: Paul Zsolnay and Econ Verlag, 1975. Haas, Ernst. IN AMERICA. New York: The Viking Press, 1975. The Editors of Time-Life Books. PHOTOGRAPHY YEAR/1975 EDITION. New York: Time-Life Books, 1975. The Editors of Time-Life Books. VENICE. The Great Cities, edited by Aubrey Menen. Amsterdam: Time-Life Books, 1976. The Editors of Time-Life Books. 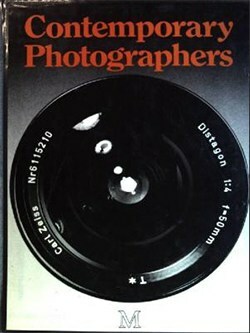 PHOTOGRAPHY YEAR/1976 EDITION. New York: Time-Life Books, 1976. Haas, Ernst. IN GERMANY. New York: The Viking Press, 1977. Wolf, Roland. WAS DIE MENSCHHEIT BEWEGT: ICH UND DIE ANDEREN. Munchen: proSport, 1977. Wolf, Roland. WAS DIE MENSCHHEIT BEWEGT: WIR IN UNSERER WELT. Munchen: proSport, 1977. Haas, Ernst. 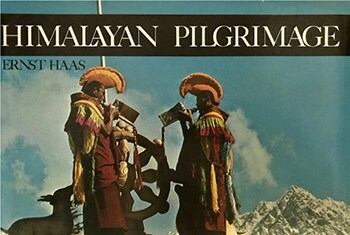 HIMALAYAN PILGRIMAGE, text by Gisela Minke. New York: The Viking Press, 1978. Walker, Samuel S., Jr., ed. REALMS OF LIGHT: PHOTOGRAPHS BY ERNST HAASÑA COLLECTION OF POETRY THROUGH THE AGES. New York: Walker and Company, 1978. Campbell, Bryn. EXPLORING PHOTOGRAPHY. London: British Broadcasting Corporation, 1978. The Editors of Eastman Kodak Company. THE JOY OF PHOTOGRAPHY. Reading, Mass. : Addison-Wesley Publishing, 1979. Wolf, Roland. ZUKUNFT UNSERER KINDER, 2 vols. Munchen: proSport, 1979. Gee, Helen. PHOTOGRAPHY OF THE FIFTIES: AN AMERICAN PERSPECTIVE Tucson: Center for Creative Photography, The University of Arizona, 1980. Wolf, Roland, and Karl Wadosch. LAKE PLACID 80 Munchen: proSport, 1980. Campbell, Bryn, ed. WORLD PHOTOGRAPHY. New York: Ziff-Davis Books, 1981. The Editors of Time-Life Books. THE ART OF PHOTOGRAPHY. rev. ed Life Library of Photography Alexandria, Va.: Time-Life Books, 1981. The Editors of Time-Life Books. COLOR. rev. ed Life Library of Photography Alexandria, Va. Time-Life Books, 1981. The Editors of Time-Life Books. PHOTOGRAPHY YEAR 1981 EDITION Alexandria, Va. Time-Life Books, 1981. Gruber, Renate, and L. Fritz. 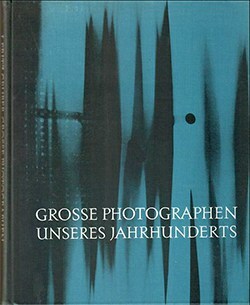 DAS IMAGINARE PHOTO-MUSEUM, dumont foto 3, Cologne: DuMont Buchverlag, 1981. Wolf, Roland. FREIHEIT, DIE ICH MEINE, 2 vols. Munchen: proSport, 1981. The Editors of Time-Life Books. TRAVEL PHOTOGRAPHY. rev. ed. Life Library of Photography Alexandria, Va. Time-Life Books, 1982. Walsh, George, and Colin Naylor, Michael Held. CONTEMPORARY PHOTOGRAPHERS. New York: St. Martin s Press, 1982. Haas, Ernst. 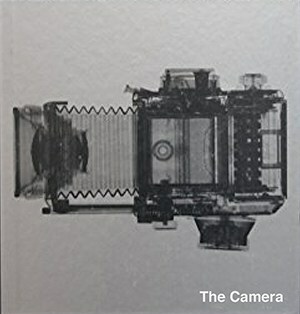 I GRANDI FOTOGRAFI, Gruppo Editoriale Fabbri, 1982. Haas, Ernst. THE CREATION. revised. ed. New York: The Viking Press, 1983. Campbell, Bryn. 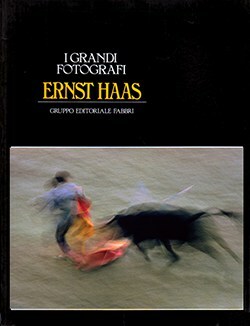 ERNST HAAS. THE GREAT PHOTOGRAPHERS. London: Collins, 1983. The Editors of Time-Life Books. GREAT PHOTOGRAPHERS. rev. Cd. Lite Library of Photography. Alexandria, Va.: Time-Life Books, 1983. The Editors of Time-Life Books. PHOTOJOURNALISM rev. ed Life Library of Photography Alexandria, Va.: Time-Life Books, 1983. Wolf, Roland and Elfie E. FRIEDEN. Nlunchen: proSport, 1983. 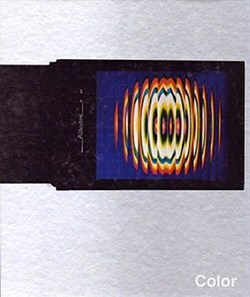 Olympus Optical Co. ONE MOMENT OF THE WORLD, Photovision, vol 2. Tokyo: Olympus,1984. Brake, Brian, ed. FOCUS ON NEW ZEALAND. Auckland, New Zealand: Collins, 1986. Maisel, Jay, ed. 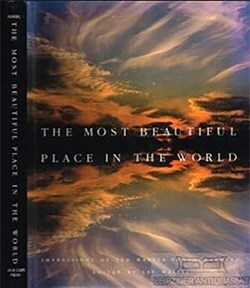 THE MOST BEAUTIFUL PLACES IN THE WORLD IMPRESSIONS OF TEN MASTER PHOTOGRAPHERS. New York: Friendly Press, 1986.
International Center of Photography. MASTER PHOTOGRAPHS FROM PFA EXHIBITIONS, 1959-67 New York International Center of Photography, 1988. Manchesterm, William, ed. IN OUR TIME: THE WORLD AS SEEN BY MAGNUM PHOTOGRAPHERS, W.W. Norton & Co, 1989. Haas, Ernst. ERNST HAAS COLOR PHOTOGRAPHY.New York: Abrams, 1989. Harrison, Martin ed. APPEARANCES: FASHION PHOTOGRAPHY SINCE 1945. Rizzoli, New York, 1991. Haas, Ernst. ERNST HAAS IN BLACK AND WHITE. Edited by Alexander Haas and Jim Hughes. Introduction by Jim Hughes. Boston-Toronto-London: Bulfinch Press, Little brown and Company, 1992. Haas, Ernst. ERNST HAAS. PPS CATALOGUE. Edited by Robert L. Kirschenbaum for Pacific Press Services, 1993. The Editors of Time-Life Books. “The Spanish West”. 1994. Time Books. EYEWITNESS, 150 Years of Photojournalism. Richard Lacayo and George Russell. New York, N.Y., 1995. MAGNUM LANDSCAPE, Phaidon, London, 1996. Handy, Ellen. REFLECTIONS IN GLASS EYE. Bulfinch Press/ICP, New York, 1999. Lardinois, Brigitte. 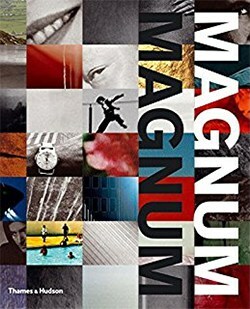 MAGNUM MAGNUM. Thames & Hudson, 2009. ERNST HAAS: COLOR CORRECTION. Texts by William A. Ewing and Phillip Prodger. Germany: Steidl, 2011. ERNST HAAS: ON SET. Edited by John P. Jacobs. Essays by John P. Jacobs and Walter Moser. Germany: Steidl, 2015.